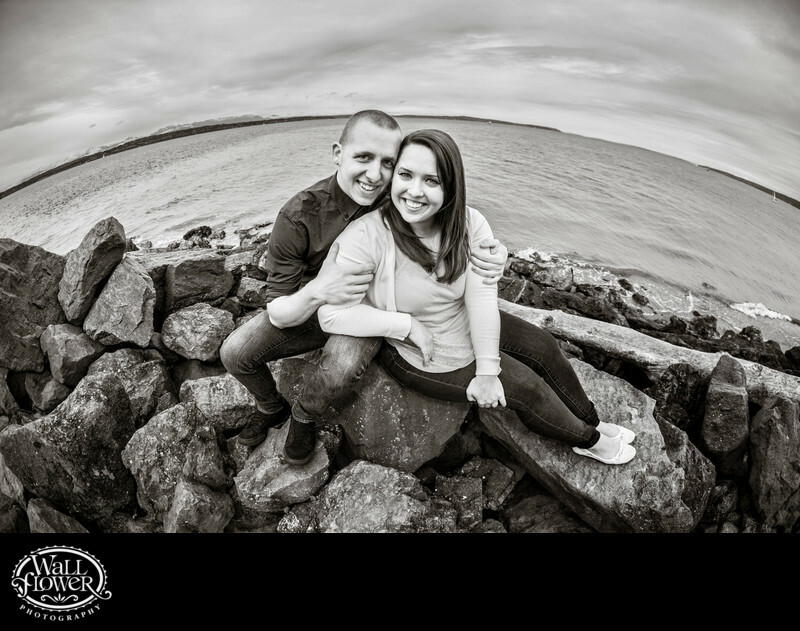 This engagement portrait, shot near the beach at Discovery Park in Seattle, Washington, is what I call a fisheye portrait because I use my trusty fisheye lens to create them. Amazingly, the lens is just a couple feet from the couples' faces, but captures a huge amount of the scenery behind them. The fisheye lens bends the horizon, looking like the lovebirds are sitting on top of the world. This photo is pretty in color, but artistic in black and white.